Given the endless talk of content and its newfound value in both PR and marketing, we shouldn’t be surprised to learn that the line between such materials and a given client’s business goals is rarely clear. A newly published report offers us a bit more information on the subject. 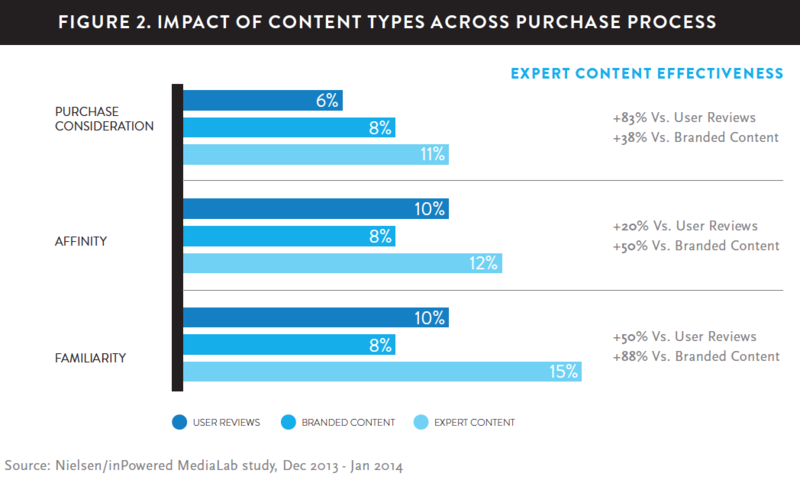 The study, conducted by Nielsen and commissioned by inPowered—a company specializing in targeted content marketing distribution—considered the three major types of content and their effects on the purchasing process. Its main conclusion? The public likes objectivity and reliability. Branded content: paid materials like advertorial, content marketing, etc. In the interest of real-world context, the survey involved 900 people recruited from the floor of a Las Vegas casino and presented with info about the sorts of products they would most likely buy: cars, TVs, household appliances, auto insurance plans, etc. The testing all occurred in-lab at Neilsen, which is important because it ensures that participants actually read and processed the content in question. The first big number: a vast majority (85%) of participants seek out third-party info on products they might buy. And all exposure to related material has some value, regardless of form or context. As you’ll see from this graph, editorial reviews aren’t the first resources people turn to. Yet despite this tendency to check the easiest stuff (social and user reviews) first, editorial is ultimately more influential. The point: expert content is effective at driving consumer sentiments at every step of the process: becoming familiar with the product, developing an affinity for the product, and considering whether to buy the product. It’s greatest effect is on the third and most important category, especially when the product makes for a significant purchase. The reason comes down to credibility: 61% of participants said they were less likely to trust any review commissioned by the company that produced the product while editorial writers are, by definition, offering their honest opinions. While paid content has plenty of information, it also carries an implicit bias. 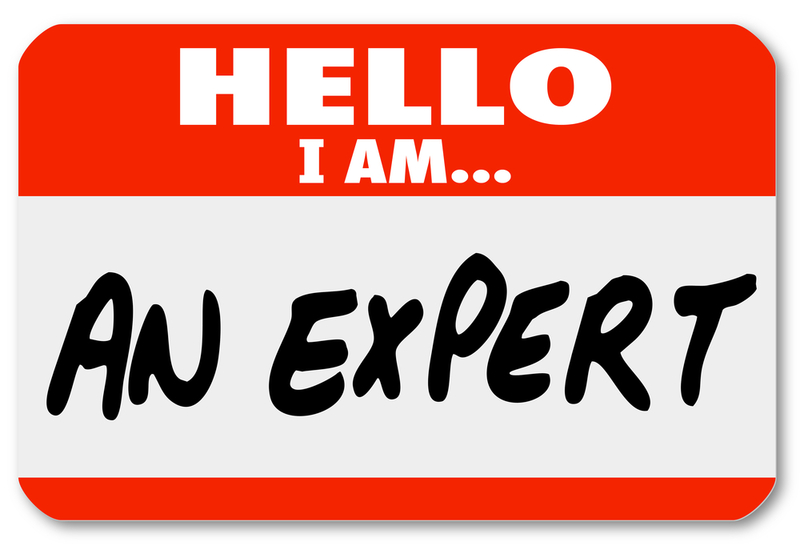 And while users may be honest, they’re not quite experts. The major conclusion we draw from the study: if individual sales are the client’s ultimate goal, then editorial placement will in most cases prove more valuable than any paid promotion, no matter how well-written or seamlessly integrated it may be. 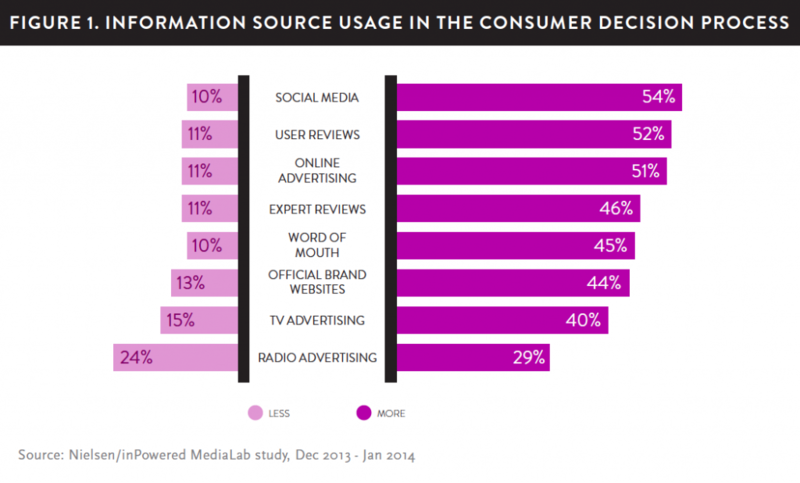 In other words, this study once again proves the value of earned media.